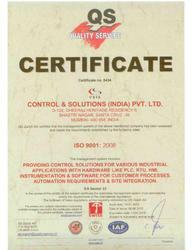 We, Control & Solutions (India ) Pvt Ltd., were incepted in the year 2000. Our organization aimed at establishing pioneer in the field of Service Provider and Project Solutions. In a short span of one decade, we emerged ourselves as one of the top leading engineering companies in the field of Industrial Automation, Process Control and Instrumentation for needs of clients. Our broad spectrum of services and solution offered by us includes Indusoft Web Studio, Mitsubishi Electronics, Arista Automation and Arista HMI. These services serve the variegated requirement of industrial sectors like Petrochemical, Chemical, Power, Oil & Gas, Cement, Paper, Pharma, Food, Beverages & Dairy. Our services are widely demanded by large number of clients in the country. In addition to this, we are also a system administrator and we undertake relevant turnkey projects for educational sectors and job seekers. These provide the complete and ultimate automation service to our clients. We are also specialized in executing the complete range of engineering solutions. These range from a single loop control to the installation and programming of state of the art distributed control system. Under the valuable guidance of our company, CEO, Mr. Vilas Chitnis, we have carved our niche in the industry. His rich knowledge and years of relevant experience have helped us promote our precious services and effective solutions to wide clientele. Control & Solutions (I) Pvt Ltd (CSIL) is a knowledge-based company working in the field of automation of process industries, providing consultancy and training for total automation. SIL Company with over 17 years’ experience in Automation, Instrumentation & Process Industries Providing consultancy and training for Total Automation Solutions. Exclusive distributor for InduSoft SCADA (21 CFR compliant ) in India With more than 7500 installations of InduSoft SCADA Covering a wide range of applications including Remote monitoring System and pharmaceutical. System Integrator & Channel Partner for Mitsubishi Electric India & Schneider electric. We have Developed a powerful Report Manager Software for customized report generation with ‘21 CFR Part 11 compliance’ . Our Vision is supported and enhanced by a world-class team of business strategists, information architects, project stewards, technologists, creative directors and researchers - enables CSIL to apply an unparalleled mix of intellect and experience to solve client problems and successfully guide him through process related problems and initiatives. We believe in rigorous planning at the outset of every project with critical assessment and provide our clients, detail blueprints and actionable development plans. CSIL's unique,simple approach enables to lead clients through a clear objective process of definition, and to serve as trusted advisors through all aspects of the implementation process. Basic & detail Engineering in Instrumentation and Process Control. Mr. Vilas Chitnis has more than 25 Years of experience in the field of Instrumentation and Process Control. He has started his career with AFFCO in Mumbai as a R & D Engineer. He hasworked as Maintenance Manager for various plants in RCF and has commissioned severalDistributed Control Systems, PLC and SCADA systems while working in RCF in their ProjectsDepartment.Total Automation Solution ProviderHe was a General Manager of Emerson Process Control and is responsible to promote DCSbusiness and Field-Bus technologies. He was a Vice-President of Emerson Network Power.Now, he is a CEO of Control & Solutions ( India ) Pvt Ltd., which is a knowledge-based company having Two International Collaboration in the field of Automation, Process control.Mr. Vilas Chitnis was a Member of Board of Studies of Pune University for seven years. He is also a Member of Board of Studies of Mumbai University for Instrumentation.He is on the Management Committee of Instruments Expert club and also a Sr. Member of ISA,Maharashtra. 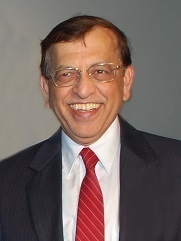 He is a founder member of CARIMO group of IIT-Bombay. 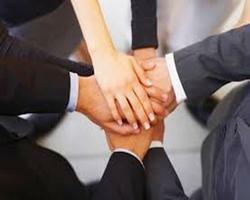 Our organization has a committed team of expert personnel who work with integrity and sincerity. Their sincere involvement and concerted efforts put in each specific assignment promote our business. Our skilled engineers have relevant experiences and rich knowledge in PLC, DCS, SCADA and Data Acquisition Systems. We recruit each individual member in the services based on their knowledge skill, expertise and working capability. Each team member is committed to their specific role. These include service providers, system integrators, project designers and evaluators, quality assurance, R&D, sales and marketing. Our organization takes pride in having an efficient team of diligent workers. Their works have contributed a significance growth in our business. We have an efficient team of R&D personal who passionately keep on surveying and researching on wide range of automation services. This helps us provide the ultimate solutions to various requirement of clients industries. 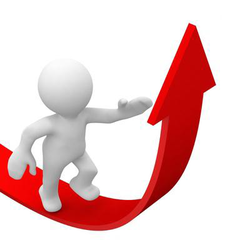 Through the latest research report and findings, we could easily make out the current needs and latest trends of the market. Furthermore, we incorporate the same techniques in our services patterns. This eventually serve our purpose to offer the right solution to right service. Our experts also keep their sharp vision on studying the project nature and its scheduling, project costing process and automated instrumentation. Turnkey projects and the project management. Software development for DCS, PLC and SCADA projects. Projects related to remote monitoring and DAS. On-site Training – on Instrumentation and Process Control.